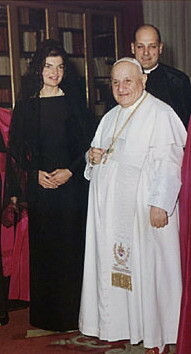 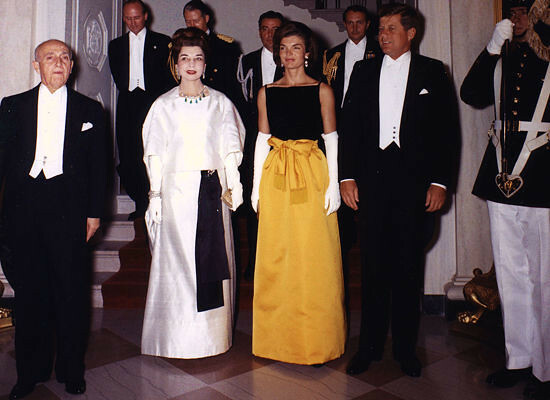 Jacqueline Kennedy wore this black silk velvet and Chinese yellow silk satin evening dress by Chez Ninon for a White House state dinner honoring President Manuel Prado ofPeruon September 19, 1961. 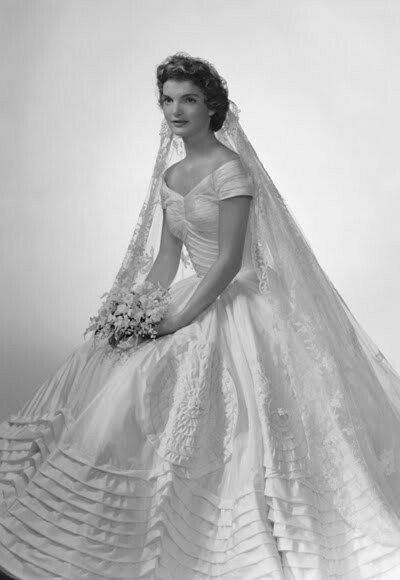 12 September 1953. 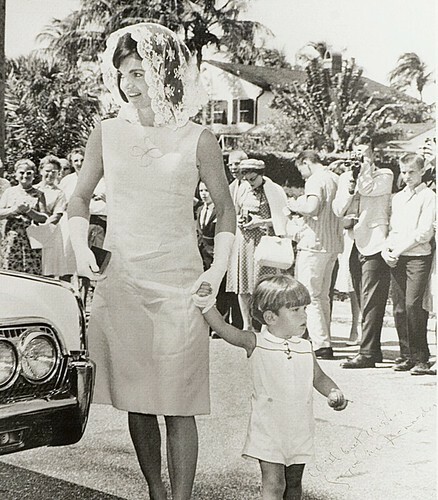 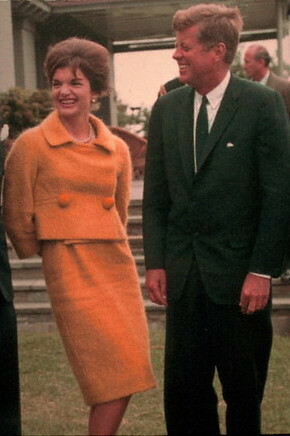 Wedding of Jacqueline Bouvier and John F. Kennedy. 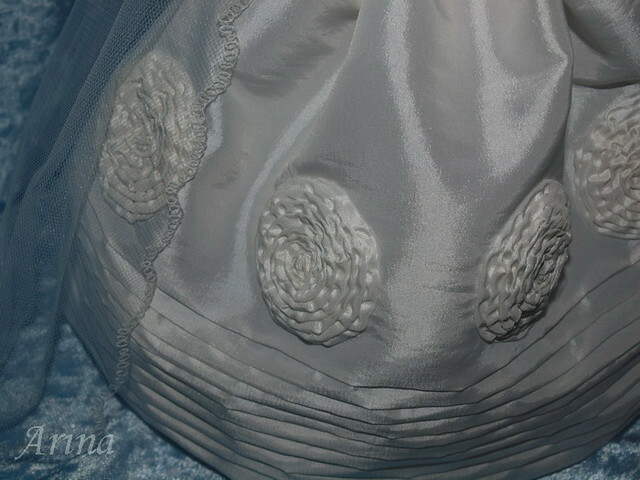 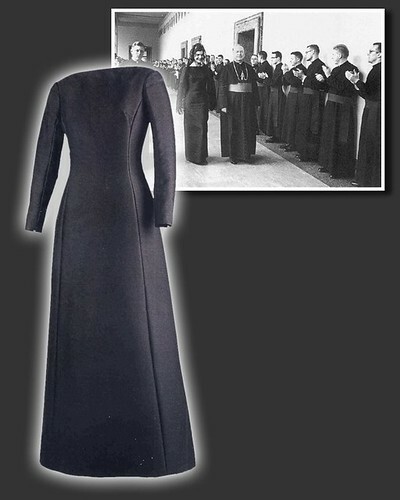 The dress with decorative stitching by hand. 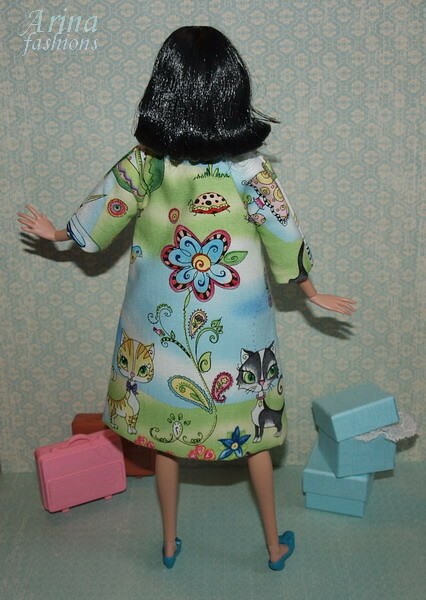 The dress is fully lined and has snaps in the back. 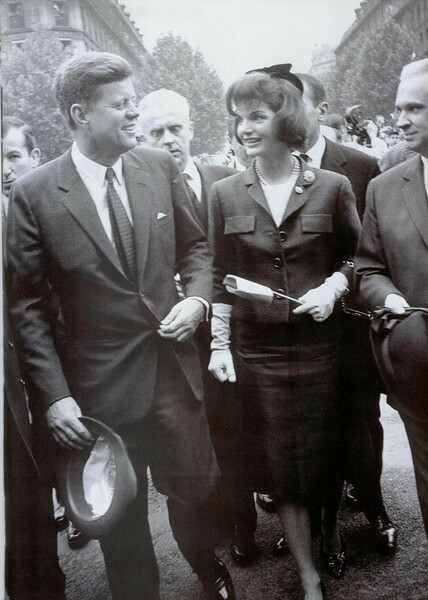 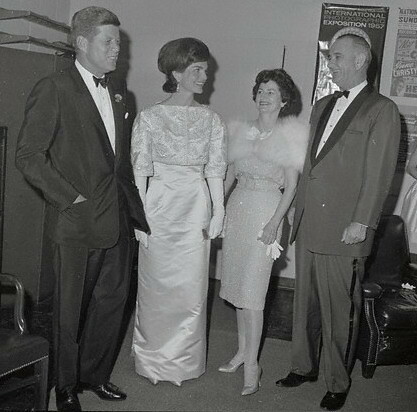 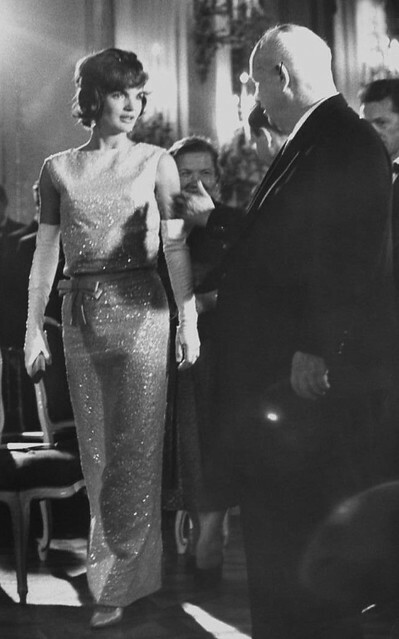 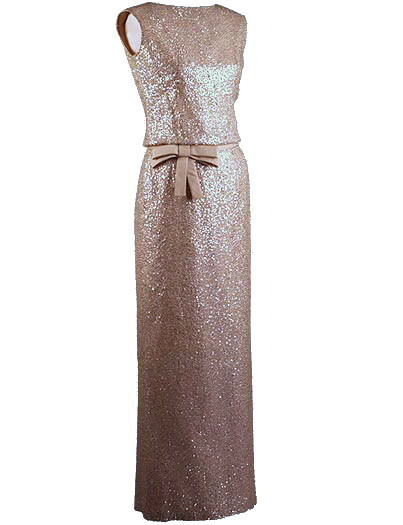 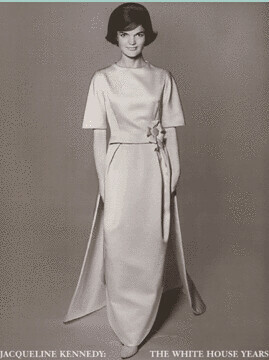 Jacqueline Kennedy must have especially liked this graceful Givenchy gown as she wore it twice. 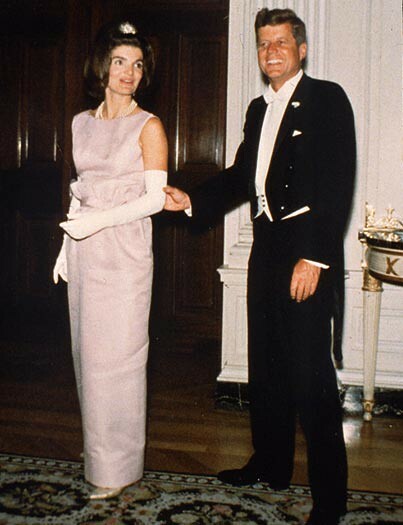 Originally, at the biggest of events, a banquet at thepalaceofVersaillesinPariswhere Charles de Gaulle greeted her, “This evening, Madame, you are looking like a Watteau…” and later at the White House. 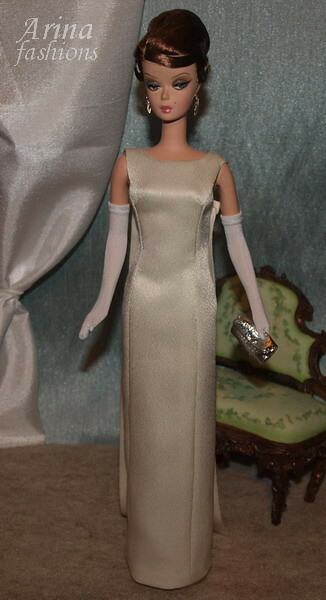 This fashion includes the dress, gloves, earrings, bracelet and clutch purse (opening). 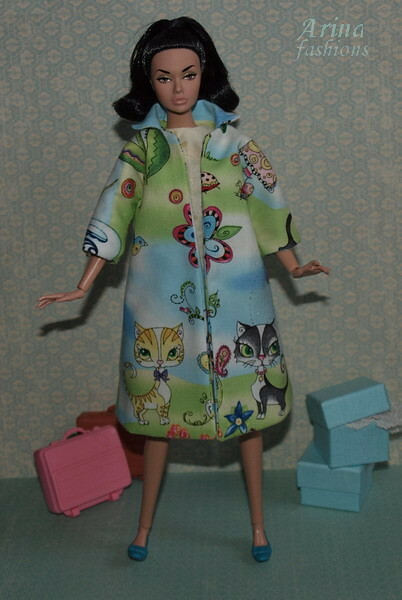 outfit for Silkstone Barbie and Poppy Parker dolls. 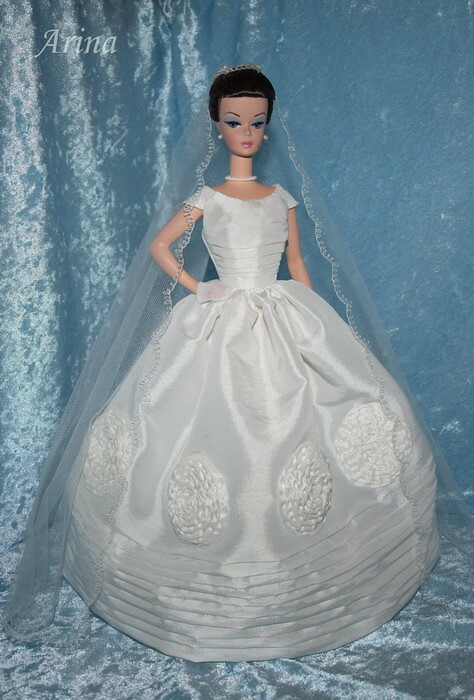 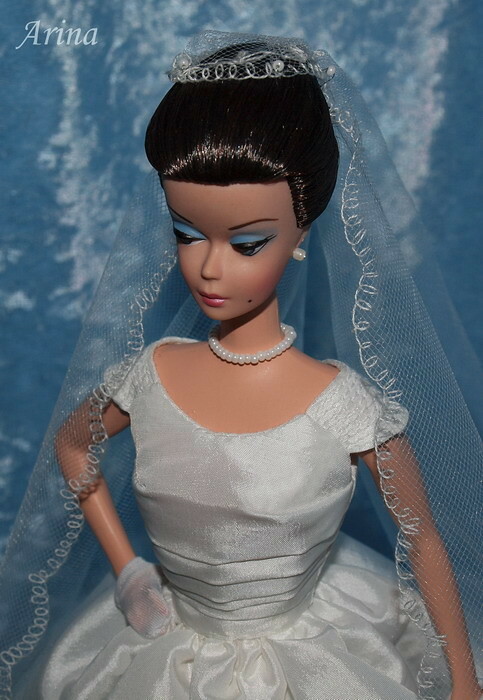 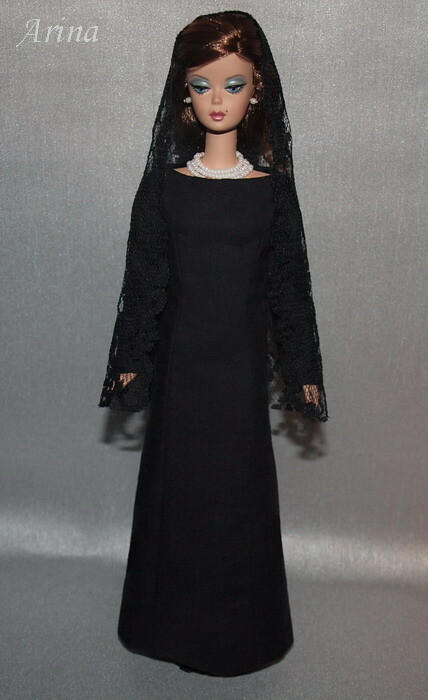 This fashion includes the dress, veil, earrings, and necklace. 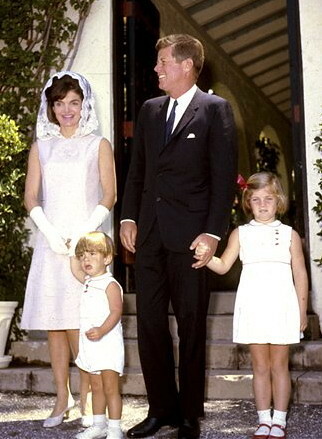 President Kennedy and first lady Jackie with their children, John Jr. and Caroline, on Easter Sunday 1963. 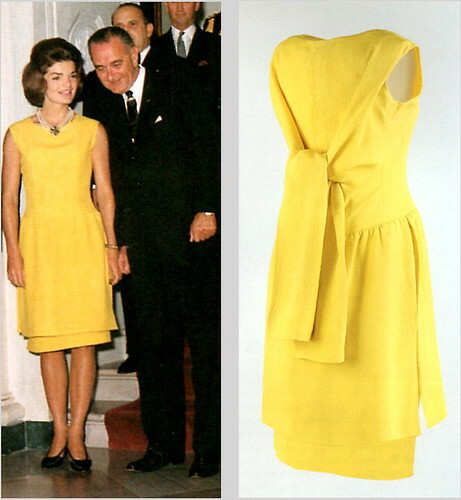 JACQUELINE KENNEDY. 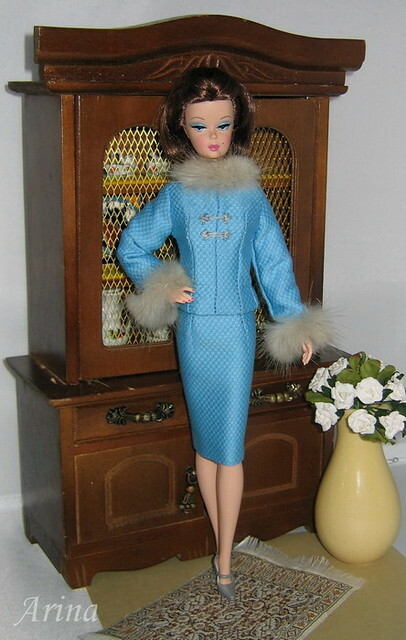 CHEZ NINON NAVY SUIT. 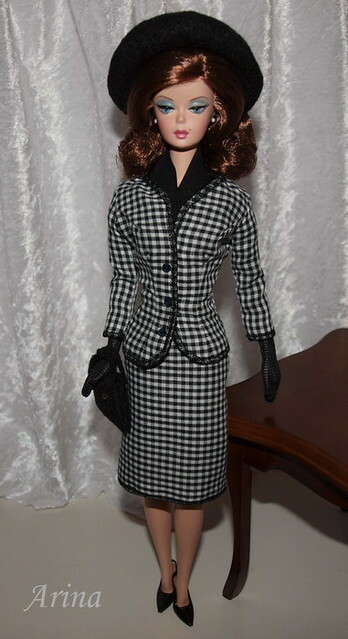 Suit in black and white with black braided trim. 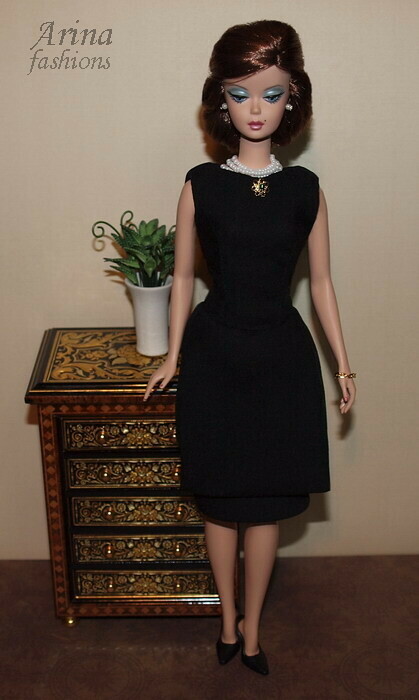 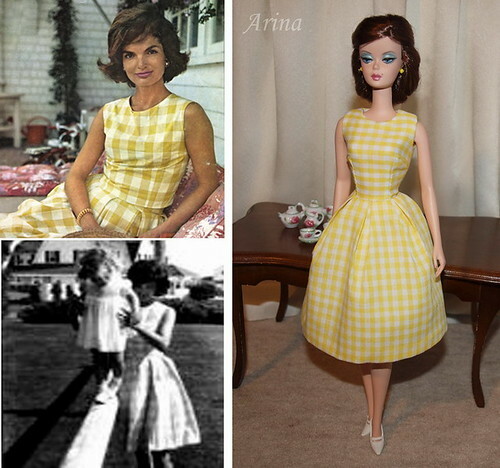 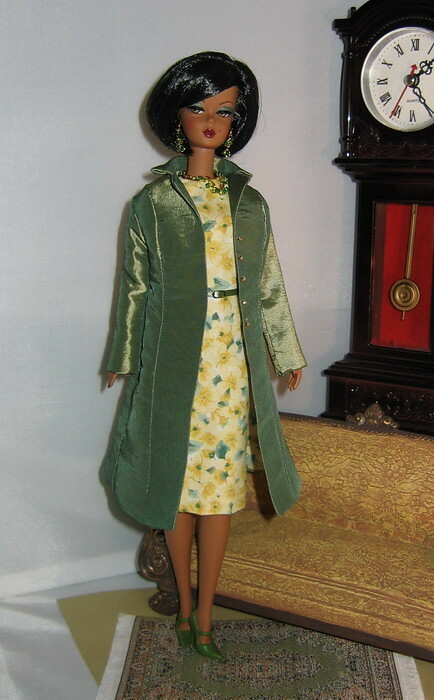 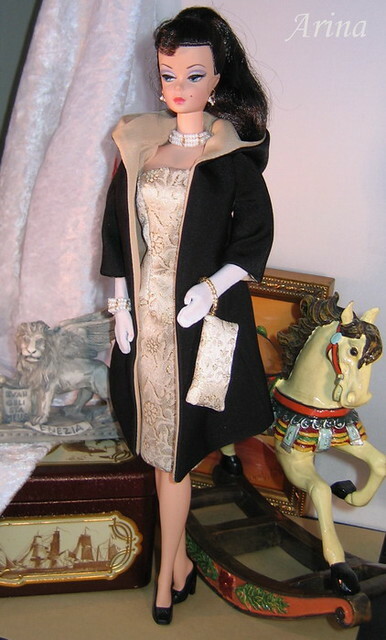 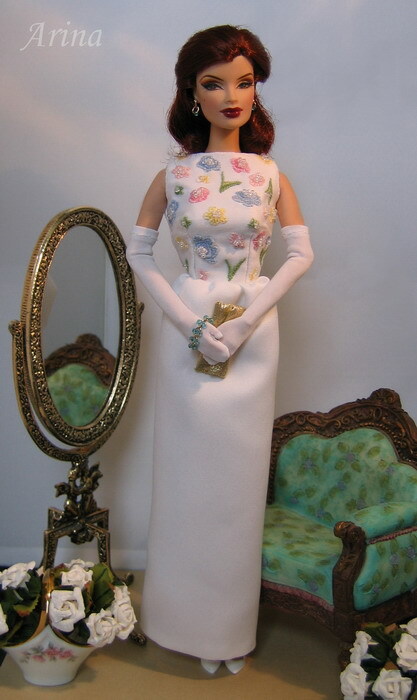 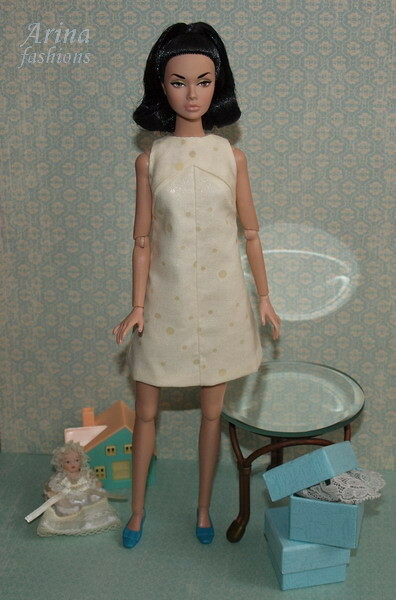 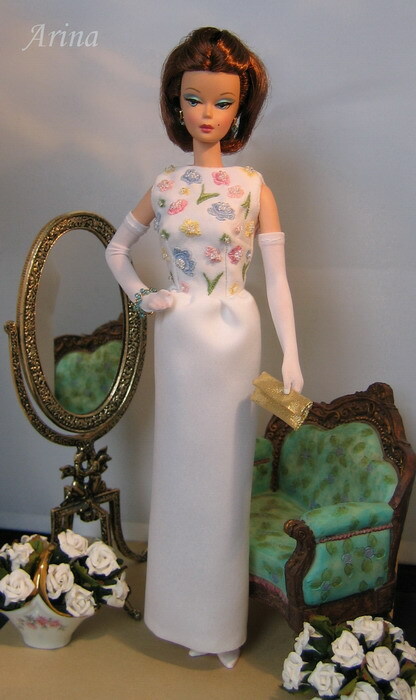 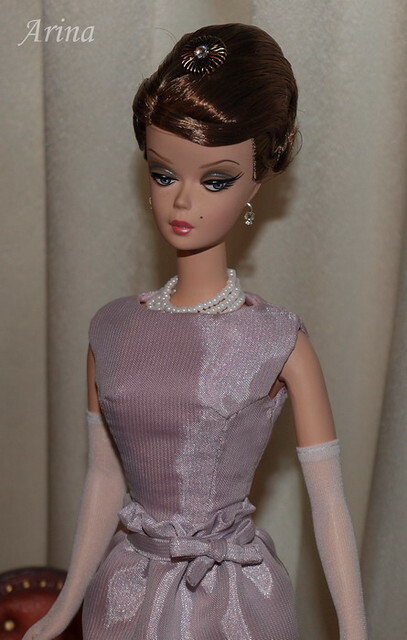 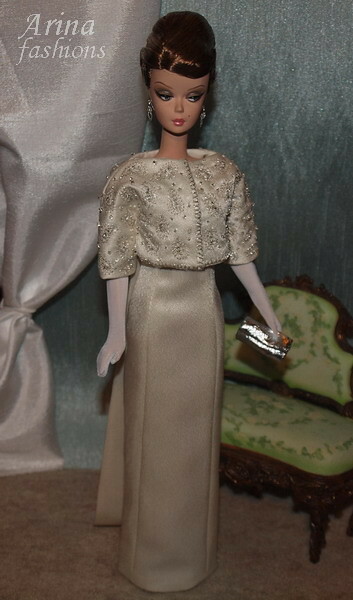 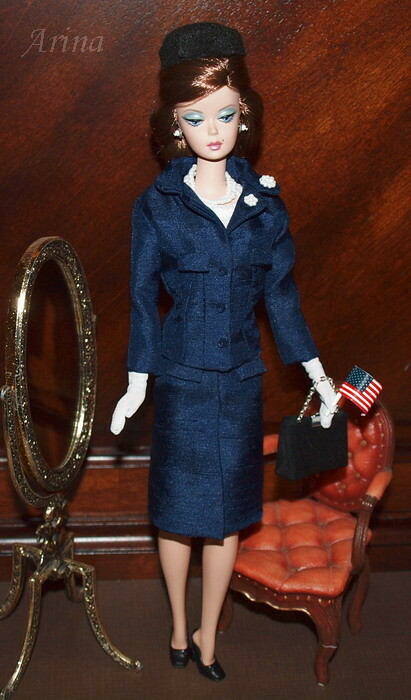 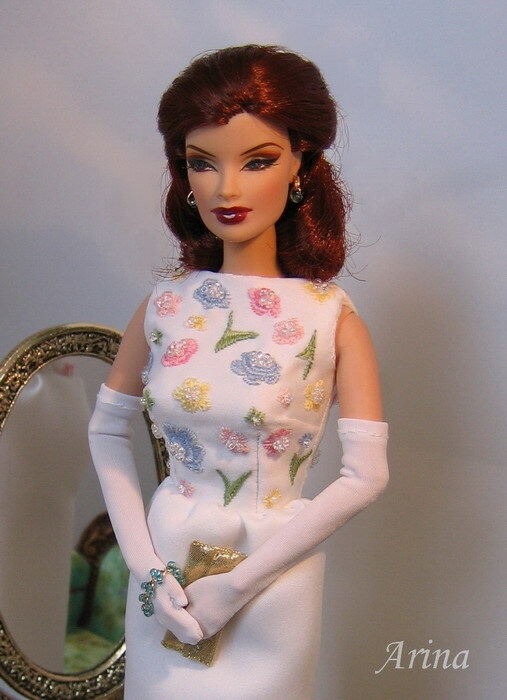 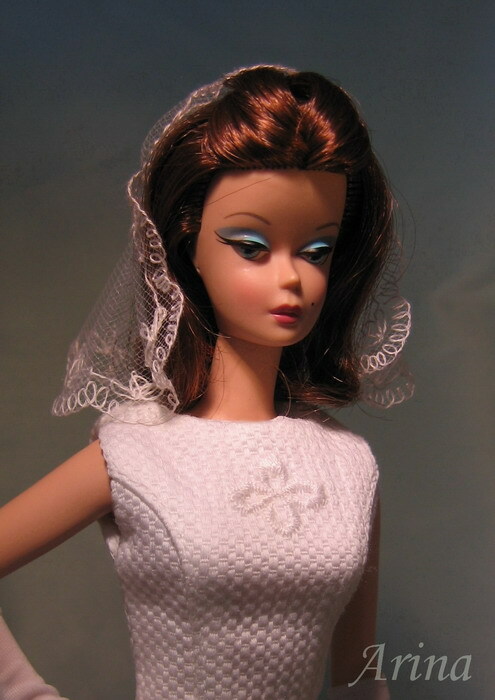 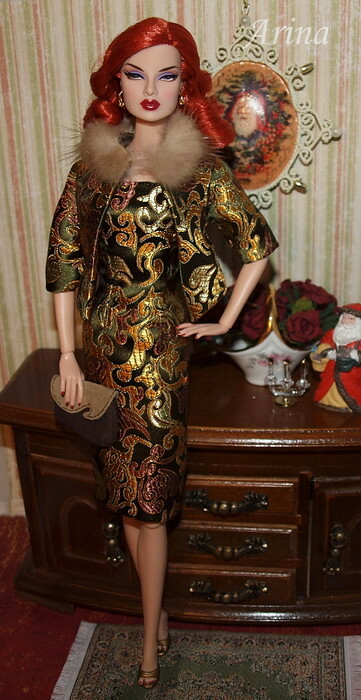 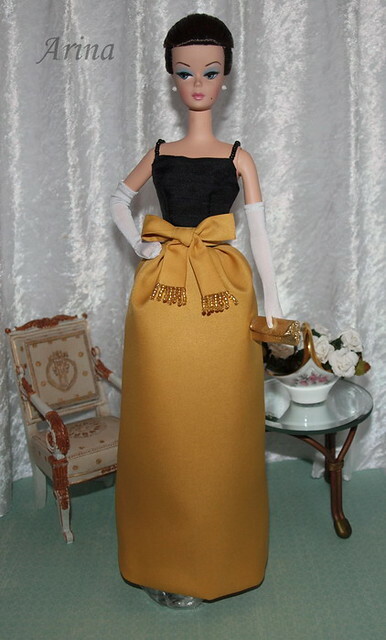 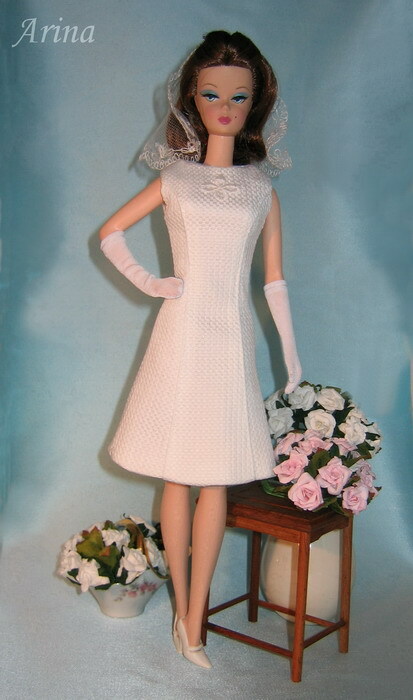 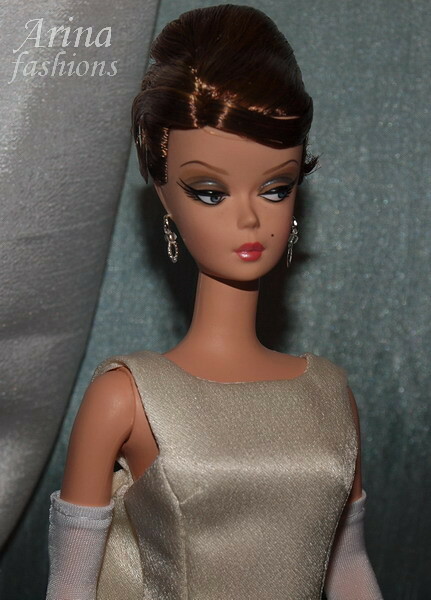 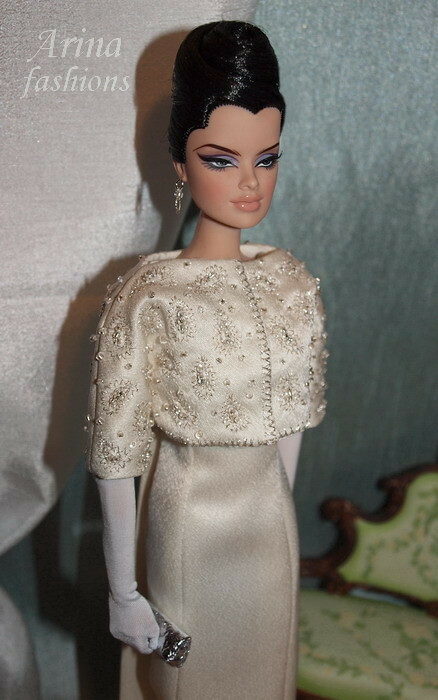 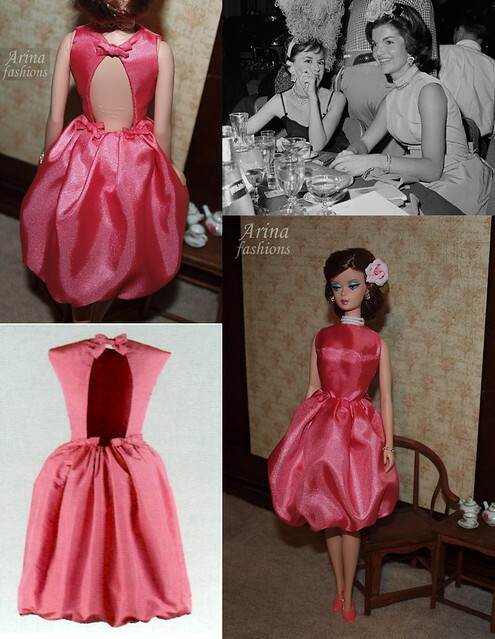 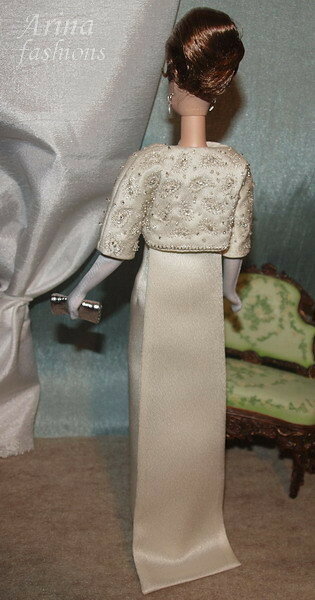 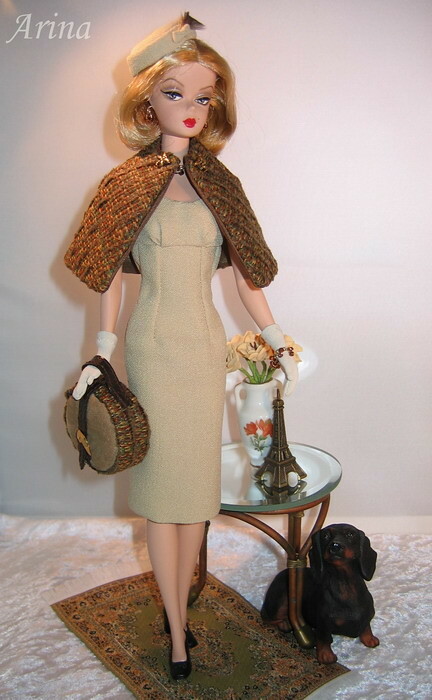 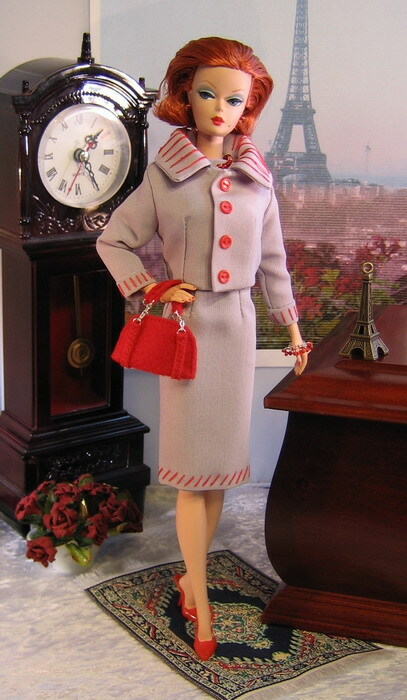 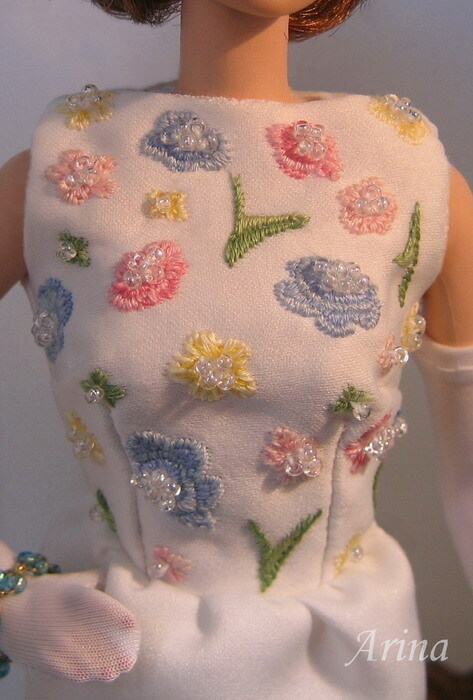 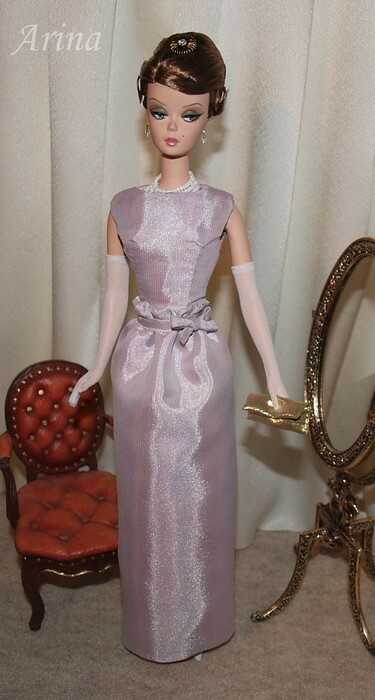 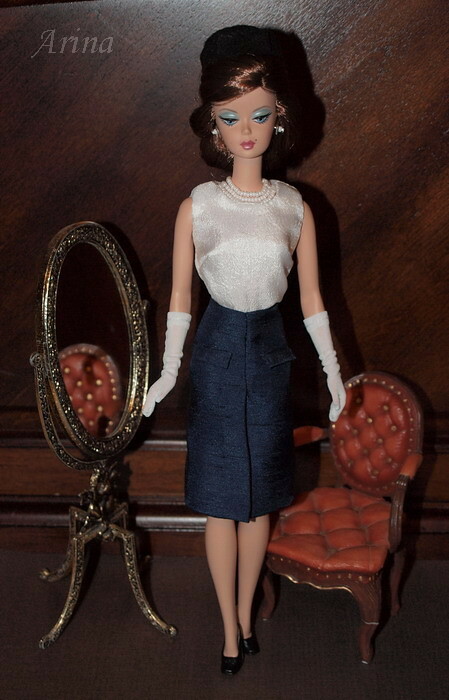 OOAK outfit for Silkstone Barbie and Fashion Royalty dolls SOLD OUT . 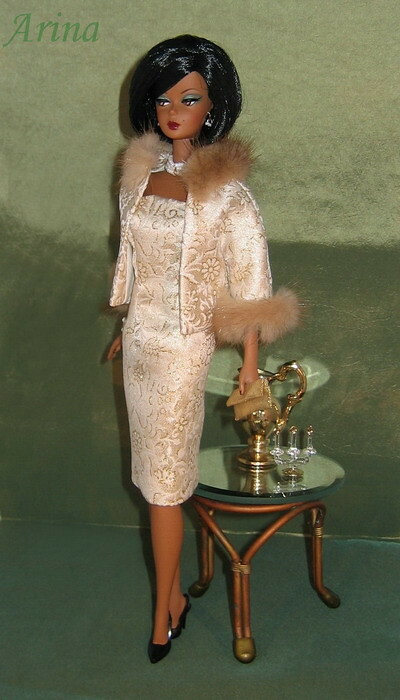 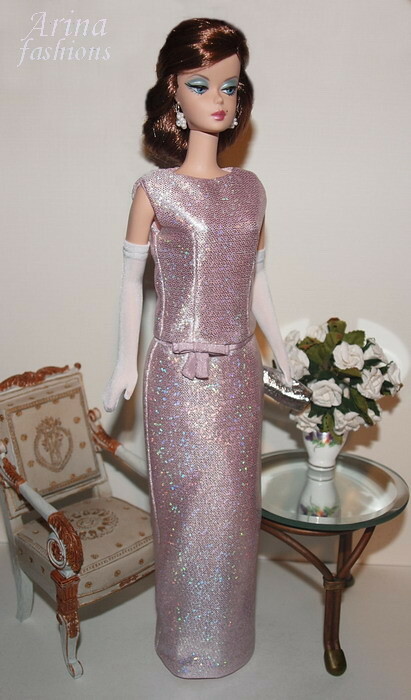 outfit for Silkstone Barbie and Fashion Royalty dolls. 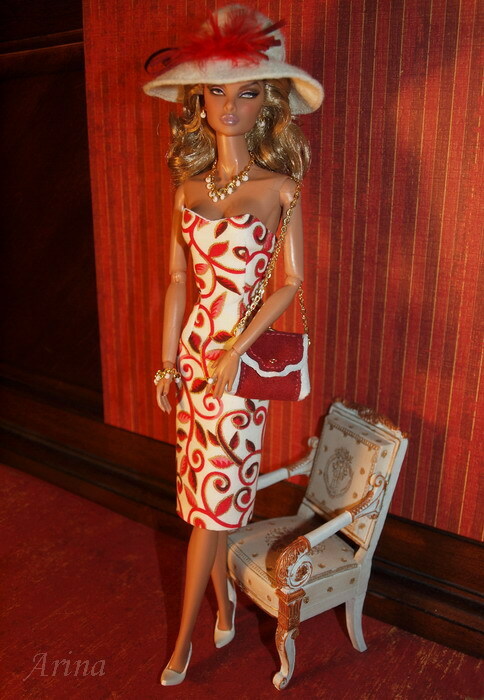 You are really great at recreating the outfits. 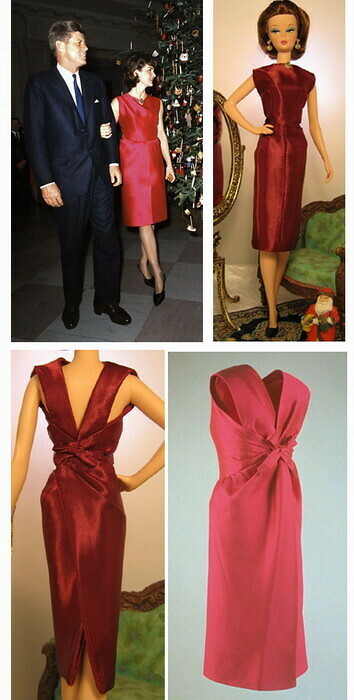 Have you thought about trying to do the same of another great fashion icon – Princess Diana? 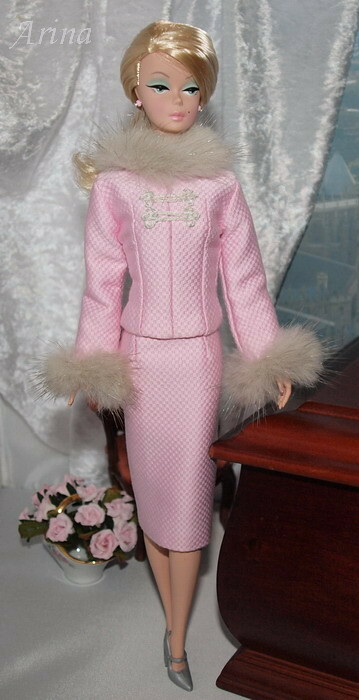 I never try to make a replica of Princess Diana’s fashions but if someone asks me I can do it by order.